Since my 5 year old son, Quinn, has a fine motor delay relating to his Asperger’s diagnosis, I am always looking for fun, unique activities for him to do to strengthen his hands and fingers and develop that lacking pincer grasp. 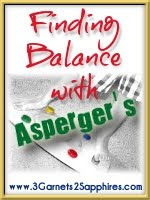 He, like many kids on the spectrum, also utilizes fidget toys to keep his hands occupied while his brain is working. Quinn uses fidgets frequently because he is much more able to concentrate when his hands are busy. Kneadable erasers are a great tool for these things. We were sent a set of 4 Scented Kneadable Fidget Erasers from The Therapy Shoppe. 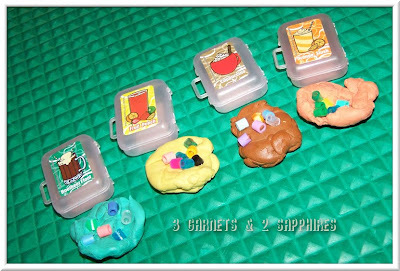 These are fun and different because they come in a variety of scents and they each come with their own little “suitcase” to store them in. These erasers are a perfect consistency for squeezing and kneading and, even though they are thick and dense, they are not so much so that my son cannot manipulate them. 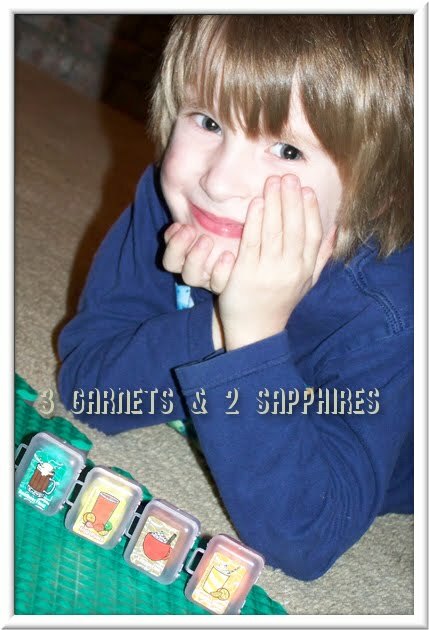 He loves to be absentmindedly playing with them while he watches TV, does his lessons, listens to books, and more. 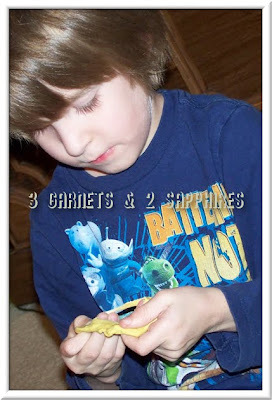 We have also created a fun activity with these that he loves doing . . .
ACTIVITY: We take some small plastic beads that we had around the house and we “hide” them inside the erasers and Quinn kneads and manipulates the eraser to remove the beads. The beads are small, so it’s a tricky activity. We even do timed races to make it more fun and challenging. Kneadable erasers would be fun for any school-aged child and can be used as a great fidget toy, a sensory input activity, and a tool to help develop fine motor skills. You can purchase these Scented Kneadable Fidget Erasers at the Therapy Shoppe for $0.99 each or $22.99 for a 25 pack. Thank you to the Therapy Shoppe for providing a complimentary product sample for us to base this review upon.